With the 3CX Call Center Module, small and medium sized businesses (SMB) can manage phone communications more efficiently and deliver superior customer service. 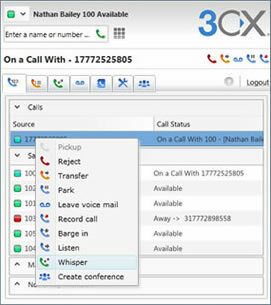 The 3CX Call Center Module is available as an add-on to any 3CX Phone System 10 installation, meaning no additional installation is required. The 3CX Call Center Module is a license key only upgrade to 3CX Phone System. All you need to do is purchase the upgrade and reactivate your 3CX Phone System. Purchase the 3CX Call Center Module today! The 3CX Call Center Module for the Mini Edition of 3CX Phone System costs only $745. To see how the Call Center Module can boost your customer service, take a look at the 3CX Call Center Module Video here. For more information on the 3CX Call Center Module, give us a call today.